Buying of airtime directly from your UnionBank Account has been as easy as ABC. This article is all about how to recharge your phone with union bank airtime recharge code. 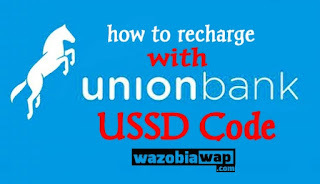 With union bank USSD code you can recharge your phone instantly any time, anywhere without stress. Continue reading to see how to buy airtime from union bank account on phone. The use of Union Bank Airtime Recharge Code on Mobile phone has really made mobile phone recharging easier and many banks now have mobile banking apps that even makes recharging your line less stressful. This means you don’t have to be looking for where to buy airtime when you can easily top up your phone instantly from your Union Bank account. For example, if you want to recharge 500 Naira, dial *389*032*500#. NOTE: you can only recharge a minimum of N200 while the maximum recharge is N5,000. If you're using the Mobile Banking Application, you will enjoy more Features.